What accounts for the striking decline in labor force participation at increasingly younger ages? Social Security and Retirement around the World examines one explanation: social security programs actually provide incentives for early retirement. 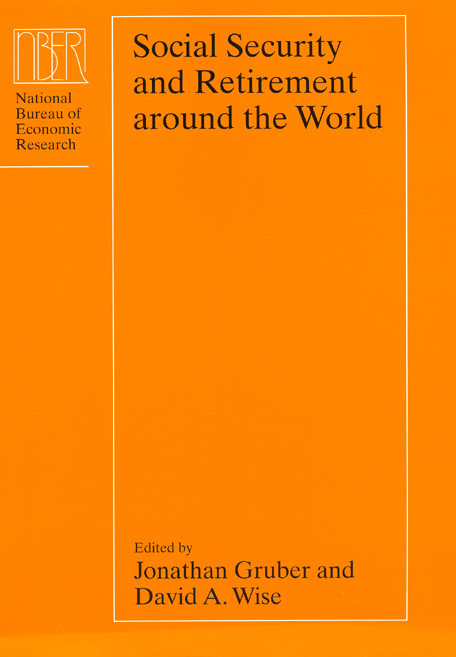 This volume houses a set of remarkable papers that present information on the social security systems, and labor force participation patterns, in Belgium, Canada, France, Germany, Italy, Japan, the Netherlands, Spain, Sweden, the United Kingdom, and the United States. "Like its predecessor NBER volumes from this project, the new book is informative and useful as a reference for social security schemes and looming problems in the covered countries."